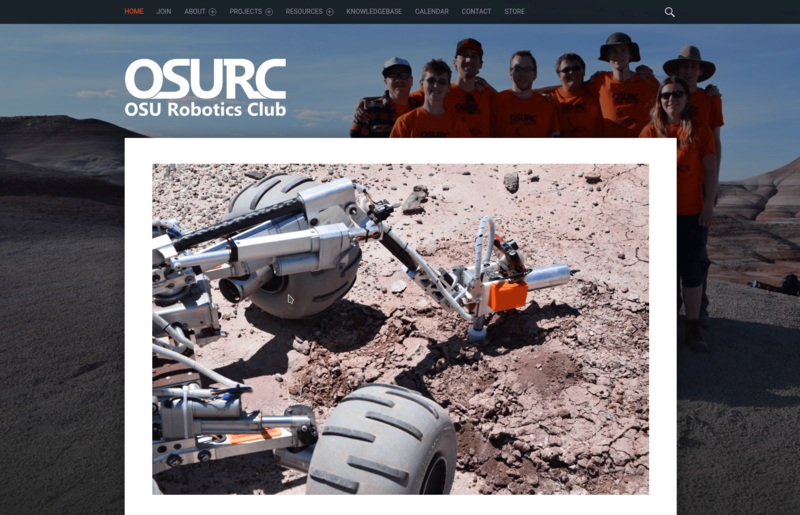 I’ve been the webmaster for the OSU Robotics Club for a year or two and just before the beginning of the 2017-2018 school year it was determined that we needed to revamp the club’s website. While the old site looked relatively decent on most pages, in reality it was incredibly broken. A previous club member had begun writing a custom wordpress theme back in 2012-2013, but had never finished it. That meant that half the pages were hard-coded into the theme and required editing the theme files to change content on a page, which is literally the opposite of what wordpress is supposed to alleviate. As I was the club’s web developer during this time, I undertook redesigning the site in a standard wordpress theme so it could more easily be edited in the future. I also added HTTPS letsencrypt certificates while I was at it. You can see the site at THIS link, and a small preview image above. Overall the redesign and transfer of content took me a few days of sporadic work, and while it’s not anything super special I’m fairly pleased with how it turned out.